During our recent adventure weekend in the Lake District we decided to take a little bit of a different path up towards the mountain of Helvellyn. Instead of taking trails for the most part we followed the path of the river “Glenridding Beck” until it diverted off course and we met with the steeper part of the mountain trail. 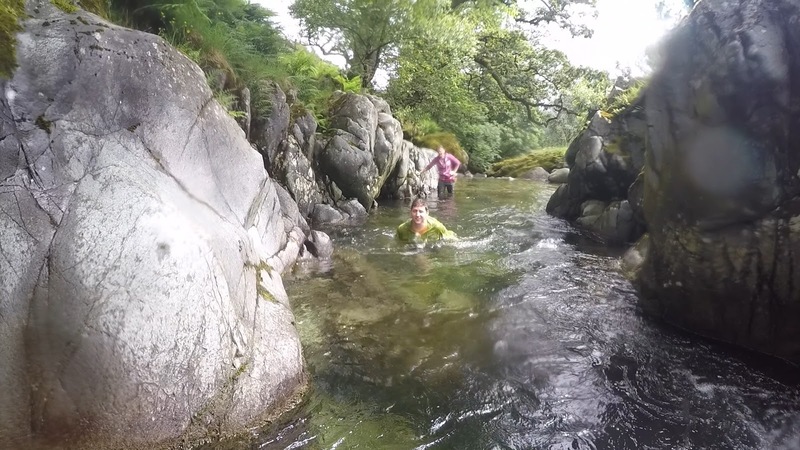 We waded, climbed and even swam parts of the river in what is know as “Ghyll scrambling” for an alternative, refreshing and challenging beginning to our accent of one of the most famous British Mountains. Well it’s not to different to Canyoning or Canyoneering (as the Americans call it) to be honest. But this time instead of jumping into rock pools we are using the river as path to traverse the landscape upwards. 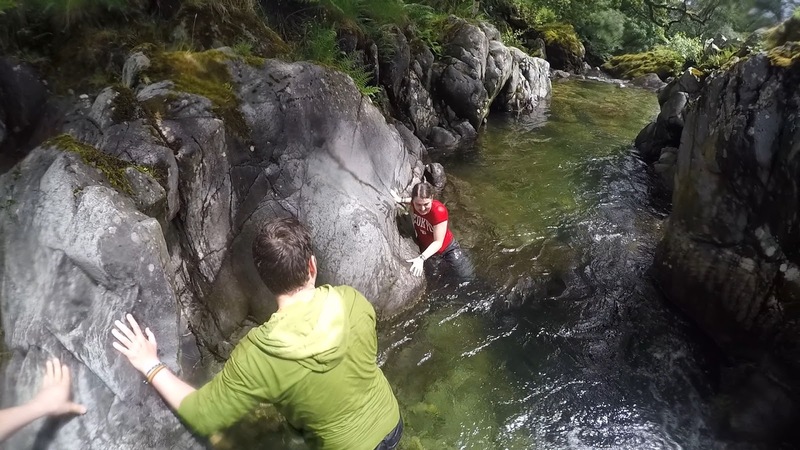 Sometimes called “Gorge Walking” too it involves climbing across boulders, traversing around rock pools, scrambling up waterfalls and wading through waist high mountain water! It’s a invigorating and challenging activity which requires balance, strength, swimming ability and the willingness to get completely soaked from head to toe in the refreshingly cool waters of the Lake District! One of the best things about Ghyll scrambling is the settings too, not only is the Lake District one of the most beautiful places in the world but by taking the rivers path you get to see it from a view point most miss out on. You see in more detail the power of nature and get to literally feel and not just see this amazing place. Oh and the word Ghyll, that is an old viking word to describe a river with steep edges cut into the mountainside! Many people also choose to decent down these rivers and gorges and take advantage of the flow of the river which creates slides and chutes! Our objective however was to climb the gorge and meet up with the mountain track. We took the usual Helvellyn route and twisted it for a bit more fun. 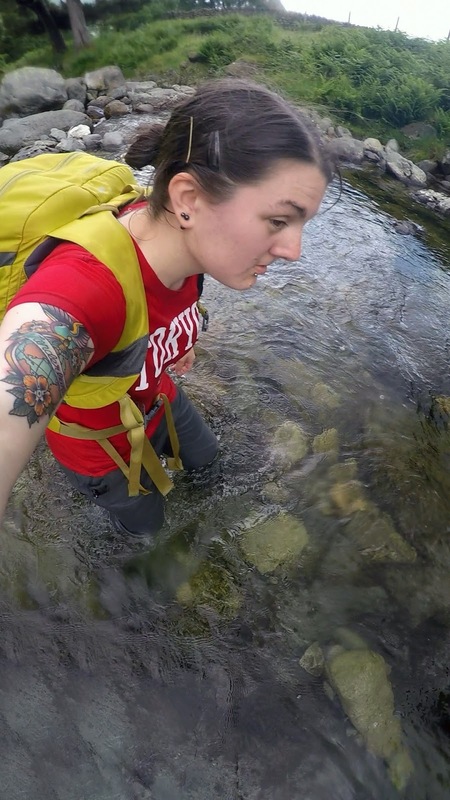 Starting in the town of Glenridding we headed straight into the river, water straight up to our knees! After expecting an ice bath the water was actually a lot warmer than predicted due to the 30c+ weather from the week before. The rocks were covered in a slippy black algae and to be honest we should have been wearing helmets because a slip could have been costly. Traversing around large rocks and boulders we made good use of our climbing skills on these well worn edges. Ghyll scrambling was a lot more involved than we had initially thought, more than just walking down a stream we had to do some proper climbing in some seriously off putting conditions! Perilous chimneying above a whirling surf and using anything and everything, including tree branches, to make our way up the river. 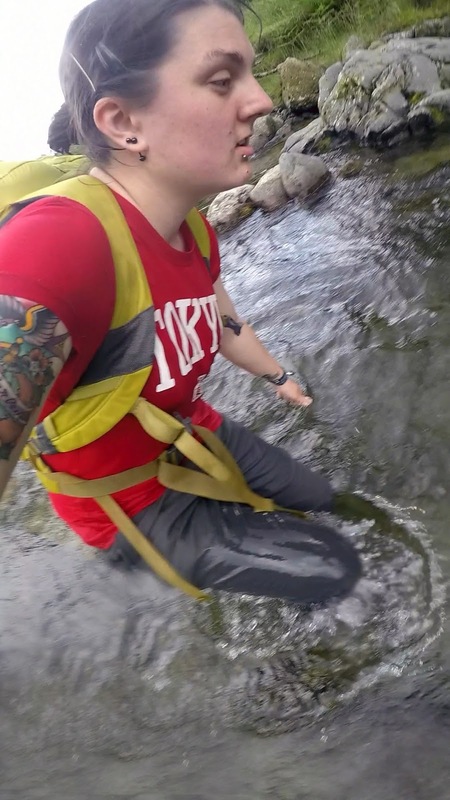 There were also numerous pools to navigate around, this time they weren’t quite deep enough for the jumps we had done whilst canyoning in the River Esk. Instead this time we took another type of plunge and did some wild swimming in the refreshingly clean and clear mountain waters. After another hour or so of climbing, scrambling, swimming and wading along the slippy, challenging and fun river path we exited to join up with the mountain track. With wet boots and dripping clothing we continued onto the next part of our adventure…to tackle the infamous needle arete of Striding Edge. Now the sun was shining and we were ready for the challenge in beautiful conditions. As experienced mountaineers as well as taking along a friend who had done numerous ghyll scrambles and canyoning treks we headed out on our own. Usually you would want to take a wetsuit, buoyancy aid and helmet, ideally at the very least the helmet. If you would like to give it a go the Lake District is the idea place, it has many scrambles from easy to challenging and a wealth of local guides and tours in order to make sure you stay safe and make the most of it. Tours in this area can be done for as cheap as £30 per person. Have you ever been ghyll scrambling or canyoning? Thank you, yeah it was an amazing day! You make what is obviously a lot of strenuous activity look like fun. That route looks huge!! I would probably break something haha looks like fun though! It took us a few hours…whilst trying not to slip the entire time!! lol. Call me a wuss, but that first pic of Nic waist deep made me gulp. And it only got even scarier as I went through the post. You guys have definitely been pushing the envelope on Adventure! Lol, I sometimes think I am too clumsy to be into all these adventure sports!! I might have to try this next time I go to the Lake District, looks like a lot of fun! Yeah it’s a great way to see this beautiful place from a new angle! I love your posts about this kind of stuff, don’t see it on many other travel blogs that I’ve seen and it really makes me want to hit up the Lake District when I get back to the UK. Love it, keep up the good work. Impromptu Canyoning (and it IS canyoning regardless what the Americans say!) The lake district is an awesome place to get stuck into nature. Sometimes the ones you don’t plan are the best! Aha, yeah it’s 100% canyoning not canyoneering!! :-p. Yeah we love it up there, many adventures to be had! Yeah it’s awesome fun and if you enjoyed coasteering you would love it! Same, anything outdoors we just love! It’s not too cold in the summer! You guys keep doing one outdoor adventure to the next — awesome! Keep at it, you two! And keep safe 😉 This experience looks amazing. Wowza! That’s some adventure there! And a good workout too! Oh wow, you guys are so adventurous! It looks amazing, but I dont think I could do it! Yes it’s great to have such an amazing place so close too. It can be cold that is true, summer is the best time to visit (but I just prefer summer anyway!) but in winter there is ice climbing etc. It’s not a proper trip to the lake district unless you get soaked some how! It was cold but the water temp actually a lot warmer than we expected! Would love to do it in a more tropical environment in the future though that’s for sure. Did anyone catch a cold at the end? Lol, no it was quite a warm day and we kept moving! Ha ha. Well I love learning so much about American history from your blog! A fun and different way to explore the Lakes! I’ve walked up that route many times but never done it by ghyll, must try that next time! 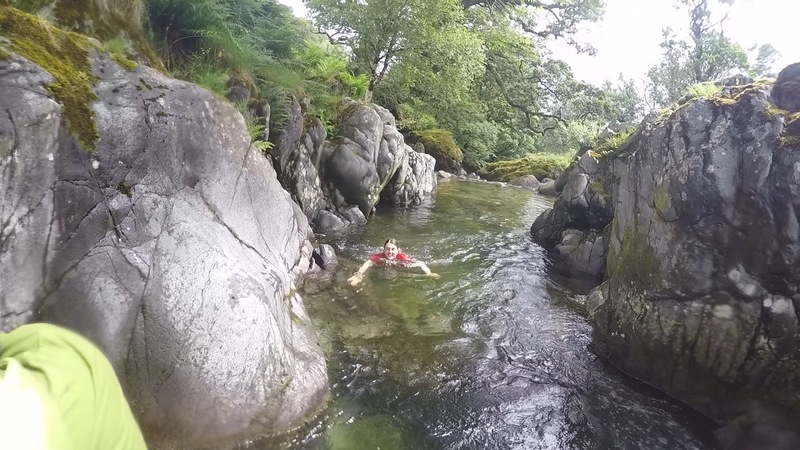 Other great places to ghyll scramble are around Langdale – Stickle Ghyll and Tilberthwaite are the 2 we send our kids to at work (I work at an outdoor centre), just avoid them on summer weekends as they’ll be busy! It felt like a much easier accent that just walking up all those steps we took on the way down! Felt like the easiest mountain I have ever been up but maybe because we were having more fun than pounding up mountain steps ends up being!! Ahh cheers, have to check those out, planning on canyoning in Church Beck soon hopefully too. 🙂 I’d love to work at an outdoors centre!